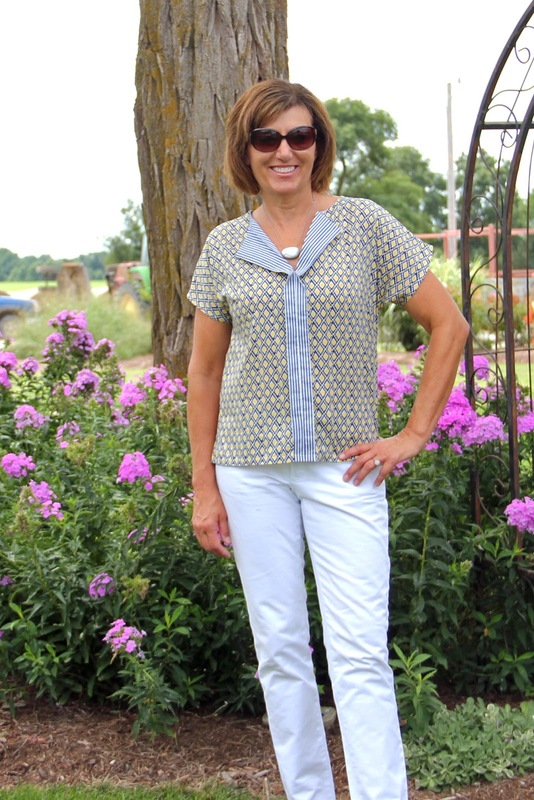 I needed a pick-me-up in the summer blouse department and I found a fun one to make I was given a Liesel & Co pattern for my contributing on the Oliver & S blog and I selected the Weekend Getaway blouse. I have had this pattern for a couple of months and with all the deconstruction and construction, I just got round to sewing in. Plus, I was always on the lookout for the perfect fabric. 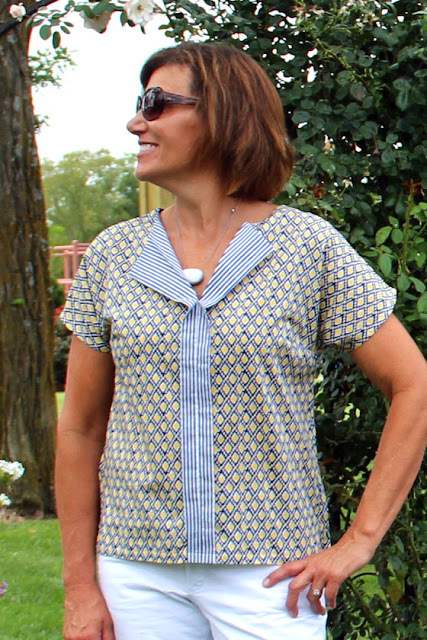 I love how this pattern has the little fold at the bottom of the v-neck. This pattern includes a bust dart for extra shaping, which I appreciate this feature. The dart keeps the top from being too boxy. 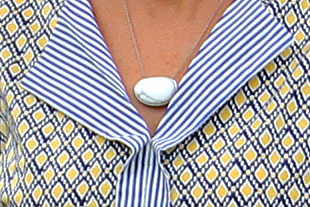 This pattern also has a dress view. A very versatile pattern and you can always do it in one fabric and not have the coordinating look. I did make one mistake. I added one inch to the length on every piece but the stripe facing piece. I just took off the inch and made a note on the pattern piece to remember to add the inch! I do think I want it a bit longer. If you are looking for a fun pattern to give your summer wardrobe a boost, take a look at this blouse pattern, it was a fun one. 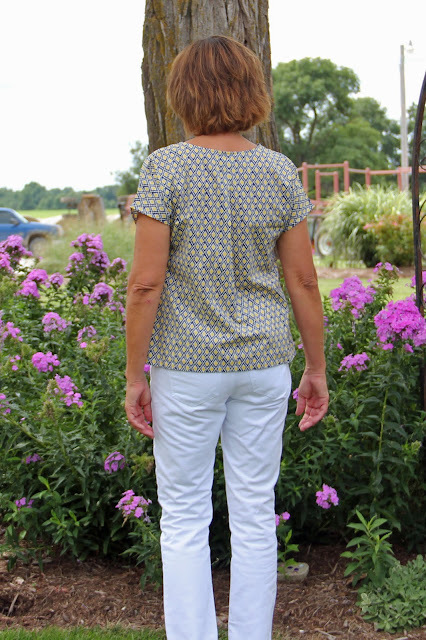 A nice pleat in the back is a good detail and adds more shaping. I am wearing this with my white Ginger jeans, one of my favorite jeans. Disclaimer: I received this wonderful surprise email, thanking for my contribution, what a nice surprise and quite fun shopping for a new pattern. I am very appreciative but all the opinions are mine. Cute blouse! I love the fold at the bottom of the v-neck. Thanks, Regina, I agree I like that fold, too. Thanks, Patty, I couldn't have picked out a better match if I had been in the store. Very cute! 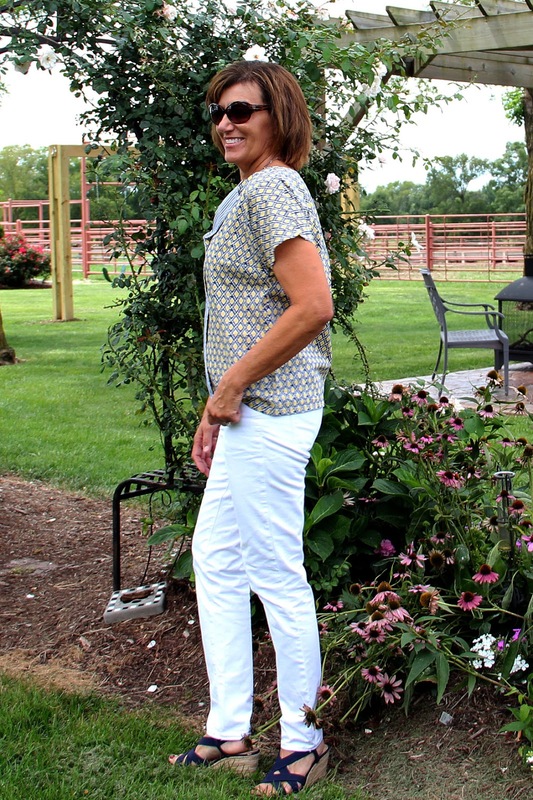 Have you thought about adding the stripe to the bottom? I love this. I too won a pattern from them from something on Pattern Review and I selected this pattern. I have yet to make it, yours has inspired me. Love the fabrics you used for this!. 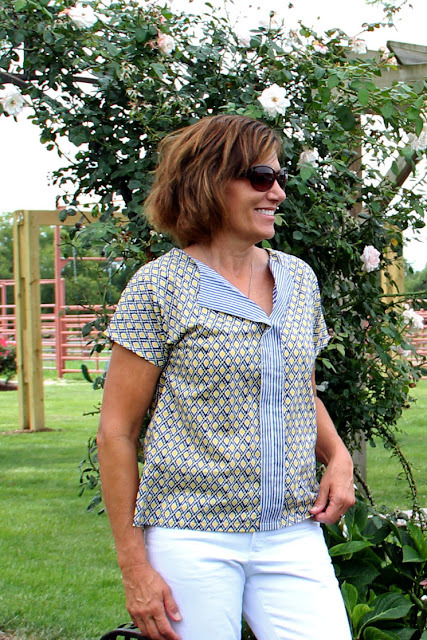 Thanks, Linda, you should make your free pattern, it is a great blouse and is quick to sew. 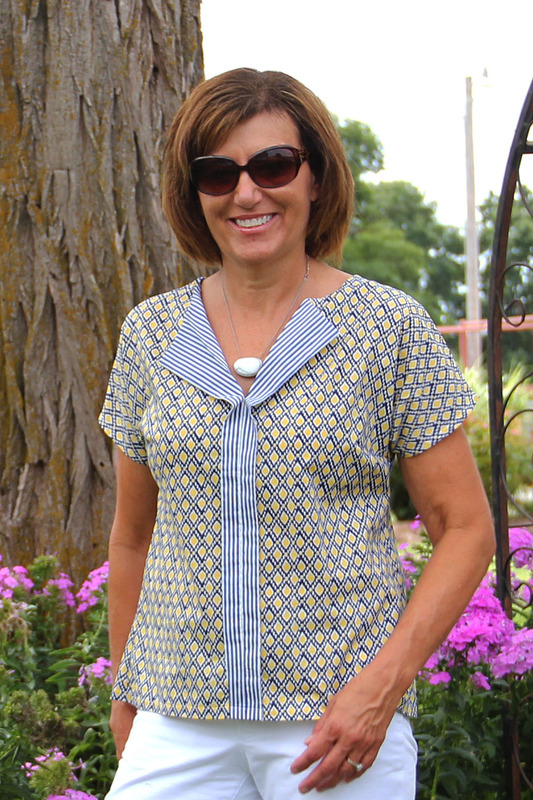 It's really pretty - I love that fabric combo, and the length actually looks perfect on you! Thanks, Gabrielle, I am good with the length after wearing it and seeing the pictures.